The Jaunt & The Garage teamed up to present the premiere of a new series of wooden sculptures by American-born, Amsterdam-based artist Hyland Mather. At the start of September 2016, art & travel project The Jaunt sent Hyland on a trip to Haifa, Israel with the sole purpose of finding inspiration. With no agenda & complete freedom, Hyland explored & sourced his new surroundings to learn more about Jewish traditions, the Hebrew & Arabic alphabet, a leaf called Khat and the fact that perhaps Shabbat doesn’t make for an ideal travelling day. The result of this trip was a suitcase full of inspiration, which Hyland translated into a new body of work including sculptures, and a series of reclaimed wood collages inspired by the visual aesthetics of the Hebrew & Arabic languages. 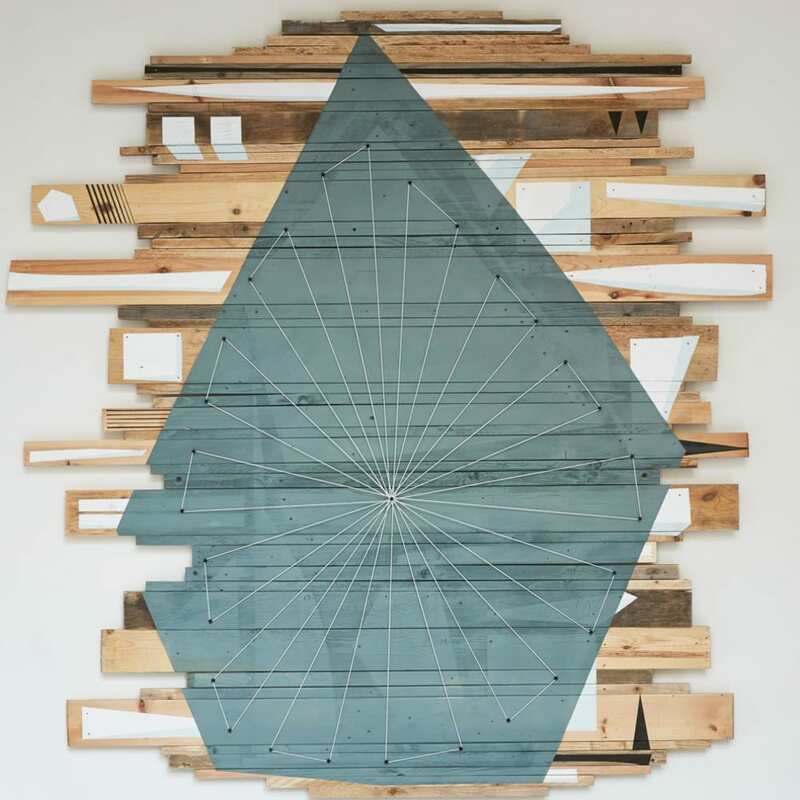 Aleph came to live as a large-scale installation of these works inviting the viewer into the abstract geometry and intricate minimalism of Hyland Mather’s wooden creations.